I’ve been meaning to do this for a long time. For quite a while I couldn’t even think about it. Tonight, going through the photos, I realized it’s still hard to look at some of them. 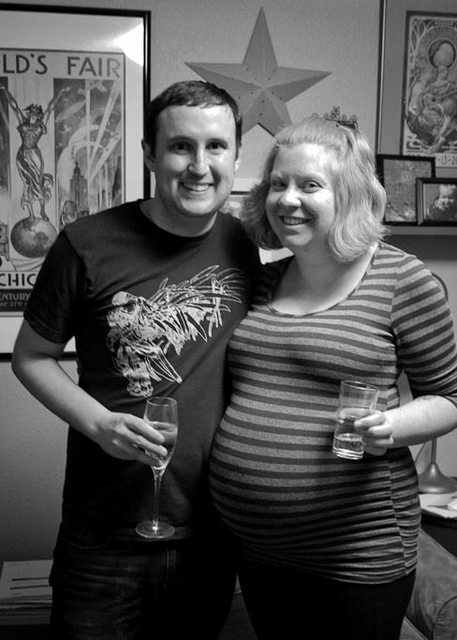 I know there are a lot of traumatic birth stories out there. This isn’t one of them. 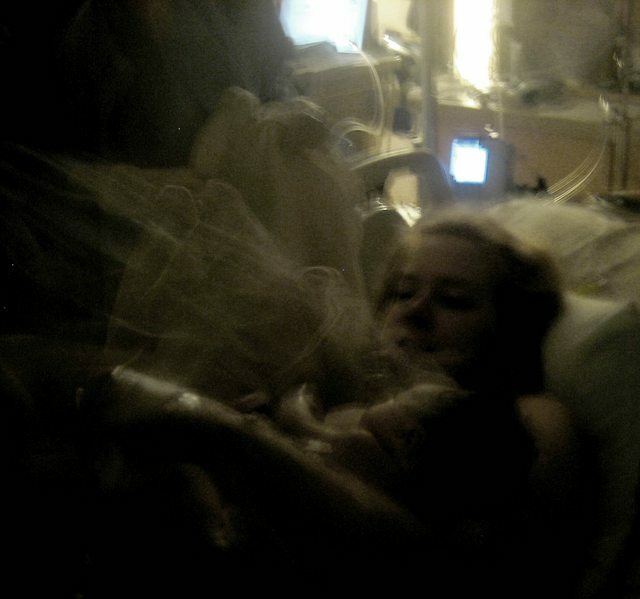 Alma’s birth wasn’t traumatic, scary, or even particularly difficult. What it was was long. It begins on New Year’s Eve, 2012. Four days past my due date. We had been preparing for the birth of our child at the Midwifery and Birth Center, so I was trying really hard to keep with their philosophies. I was trying not to cling to the due date. But when you are over 9 months pregnant, it’s hard to do anything. Anyway, New Year’s. We had taco salad bowls, played games, and hung out with our best friends at their house. At midnight, we watched the ball drop, I had a sip of champagne, we watched the neighbor’s fireworks, and went home. I knew I wouldn’t have a 2011 baby, because 2011 come and gone. I knew I wouldn’t have a December baby because December had come and gone. We were in bed by about 1:45. I woke up at 4:15, in pain. It was enough to wake me up, but not enough to have to concentrate on. And it went away. Then it came back a few minutes later. Then it went away. And came back. After about an hour, I started to believe that it was actually happening. I woke Jesse up to tell him it was happening, but also told him to try to go back to sleep. Everyone told us to sleep during early labor, but I was just too excited. We called my mom at about 7:30, and told her she should get ready to head over later in the morning. I wanted Jesse and mom there with me in the room. She came over at about 9:30. By this time I was feeling contractions about every 5 minutes, and they were lasting between 45 seconds and a minute. They weren’t too difficult, but they were increasing quickly. We called the midwife who was on call, Chris, and she said we should head in to get checked. It was about noon. When we walked in, she looked at me, and almost laughed. She could tell, by looking at my smiling, excited face that we were not close to being ready to get checked in. She checked, and I was only 2 cm dilated, so she said we should go home. I was most comfortable on my feet, rocking back and forth. I liked leaning on things that were about shoulder height, like the dresser and the staircase. At about 5, Chris called and said she wanted to see me again before the shift changed, and another midwife would be on call. We went back to the Birth Center. This time it was Patricia who checked me. While I was having 1 minute long contractions every 4 minutes or so, I was still not very dilated. Patricia explained very understandingly that we would probably be more comfortable at home. During all of this, my dad and step-mom were having a belated Christmas celebration with my siblings who couldn’t be with us on Christmas. My dad was cooking my favorite meal, and offered to bring leftovers over for Jesse. I was in no mood for the amazingly rich foods. Dad came over at about 8 and sat with me for a while. I was on my side in bed, and I remember him just talking softly with me and telling me how proud he was. He sat with me for awhile, while Jesse ate his dinner. Then Jesse came in, and my dad went to sit with my mom in the living room. From my bedroom, I could hear my parents talking softly in the living room. It was a beautiful comfort to me, to hear them talking together, just like when I was young and I would hear their voices drift into my bedroom as I fell asleep. My mom later told me that they spent the time remembering when my brother and I were born. After my dad left, I spent a few hours moving around the house, taking long showers, and trying to be comfortable. We went back to the Birth Center to see Patricia again at about 2 in the morning. This time, she didn’t even take us into a birth room. She just checked me in an exam room. I think she knew I wasn’t ready yet, and that it would be better to avoid the birthing rooms. She was right. I hadn’t dilated much in the ten hours we had been at home. I was really disappointed. I had been working hard. I had been laboring for almost 24 hours, and felt that it was long past the time to meet this baby. I also couldn’t imagine how bad it was going to get if what I was feeling was just the beginning. Back at home, I moved between the bathroom window, the staircase, lying in bed, and the shower. Sometime in the early morning mom picked up on a breathing pattern that I was naturally falling into. During each contraction I would see a line of things in my mind and each went with a breath. The first were 3 planks of wood. They were long and wide and would come one at a time, each with a long, deep breath. Then I would see 2 flowers. They would come with two smaller, more shallow breaths. Then one more plank of wood and a deep breath. I have no idea where this visualization came from, but it was what I saw. Mom would talk me through it, saying “Long, deep breath, another deep breath, one more. Short breath, again. Deep breath. Okay, it’s over. Good.” There were a couple contractions where the visualization would be different, like 4 planks of wood instead of 3, and I would get all thrown off and confused. One time, the contraction kept going, and the planks of wood kept coming into my vision. So strange. I was never able to explain what I was seeing because the contractions were so close together. At 7 am, we went back to the Birth Center. The nurse was there, and she checked me. I was finally far enough along that they would allow me to stay. I don’t think they really wanted me to, but they understood that I had already been in labor for over 24 hours, and it had been pretty active for at least 18 hours. I got into the birthing tub and was able to fall asleep between – and even during – some contractions. It was the first sleep I had gotten since the 3 hours I got on New Year’s Eve. We spent the day walking between the windowsill, the dresser, the sink, and sometimes lying in bed. I always wanted my upper back lightly rubbed. I think it was the comfort of being touched by Jesse or my mom. They later joked that they were afraid of rubbing a hole in the robe. We were a really good team. Mom and Jesse supported me constantly. I wouldn’t even really notice when they would trade off. I think they each took turns eating, or dozing, or resting. At 4 pm, Patricia suggested breaking my water, but they would have to find a vein to give my IV fluids. I have difficult veins normally, but at this point I hadn’t really eaten in almost 2 days, and had hardly had anything to drink. Patricia and the nurse tried really hard, but couldn’t find a vein in my arms or my hands. I don’t think I even really noticed, I was so focused on the contractions and breathing. Patricia decided to break my water anyway. Things kept progressing slowly. Jessica, the nurse, would come in every 15 minutes to monitor the baby’s heartbeat through a contraction. The heartbeat was always strong, and Jessica was never concerned. My contractions were still long and close together and difficult. At about 6, Patricia had a talk with me about how things were going well, but that I needed to stay active and keep trying different positions. She was leaving and the new midwife was coming in. I was really disappointed because I had really appreciated Patricia and all her calm, generous support. By this time, I was so tired that I would have a contraction and almost immediately fall asleep until the next one. I would fall asleep standing at the windowsill, or lying in bed. The new midwife, Hilary, wanted to talk to me, but I knew she would have to make it quick. Hilary felt the baby and thought it might be posterior, and that I was only about 6 cm. She told me that she wanted to see things start happening soon. She wasn’t forceful, but I got the feeling that she was serious. Hilary went out to talk to Jesse in the hallway, where he was eating dinner. While they were gone, I talked to mom and decided that it was time to think about some other options. I was absolutely exhausted. I had been up, laboring for almost 40 hours. I could see that it was going to be many more hours before I was even ready to push. I didn’t feel like I would make it. I was just so tired. One of the best things about our Birth Center is that it is basically next door to an amazing hospital. 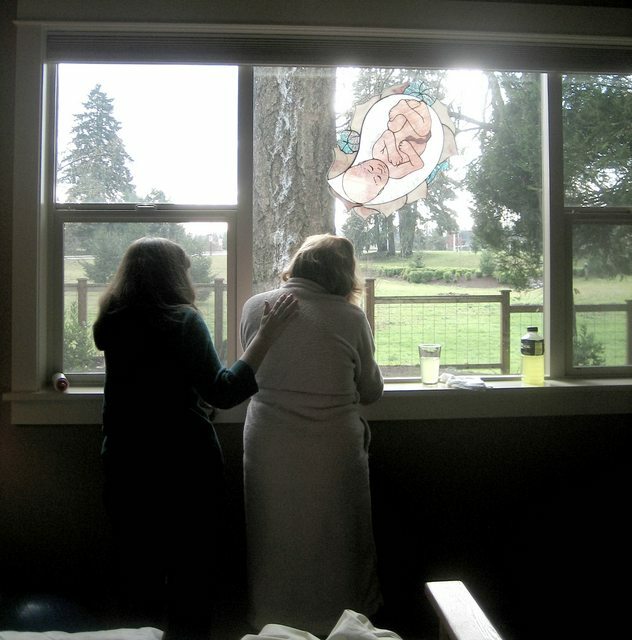 The midwives are all licensed, and the Birth Center is connected to the hospital. To get an epidural, we had to transfer to the hospital. Hilary outlined the steps for us – follow her in our car on the back roads, take the staff elevator, skip admitting, go straight to our room. This was when everything got really hard. I had to walk all the way across the parking garage, through the hallways, we were in an unknown place (a place I had been trying to avoid), and I knew that I was getting an epidural soon. I totally lost focus and had some really difficult contractions. It was amazing to realize that my visualizations and focus were really keeping a lot of the pain away. At one point, I even started to panic until my mom realized that I was just having a contraction and talked me through my breaths. 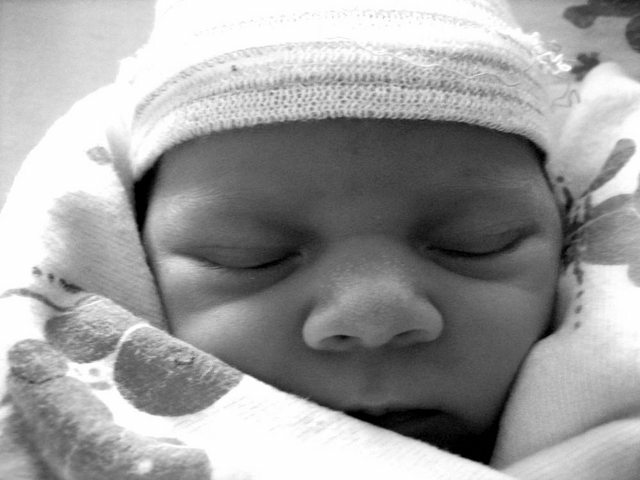 Once I got the epidural everything changed. I was able to have a conversation with Hilary. We connected over the fact that we are both Returned Peace Corps Volunteers. I was relaxed and excited. The Ducks had played in the Rose Bowl, and I had been consciously not asking if they had won – I felt that I would be too discouraged if I learned they had lost. Once I got the epidural, I asked for the result and found out they had won. At 9:30, they turned the lights down and told us to sleep. We were all exhausted. Mom slept on the couch, and Jesse slept on the tile floor. He was so tired, I’m not sure he minded. At 1:15 in the morning, mom woke up and told Jesse to move to the couch. She then sat next to me in the chair and we both dozed. I remember trying to sleep, but being really excited again. At 3, our nurse – another Patricia – suggested that I try a practice push. She turned off the epidural and I tried. After a few practice pushes, I started to feel the pressure and the urge to push. Hilary came in and I started pushing in earnest. Hilary, Jesse, and Patricia were incredibly encouraging. With every push the told me how well I was doing. One time, after a push, no one said anything. I got mad and said “Why didn’t anyone say good job?” Hilary replied that it hadn’t been a very good push, so I was encouraged to try harder with my next one. At 5, the assistant nurse brought in the bassinet and more tools. I had the feeling we were getting close. I had been pushing for two hours, so I felt like things had better be getting close. At 5:30, Hilary and Patricia told us that the baby had long hair. I asked when the baby would be born. I asked if it would take hours and hours. Hilary said it wouldn’t be hours – that the baby would be born before it was light out. They asked if I wanted a mirror – I didn’t. I was afraid that it would look like nothing was happening and I would get discouraged. At one point I lost my courage and asked if everyone cried between pushes. Hilary or Patricia told me that all women lose their bravery at some point. At 6, Jesse moved to the end of the bed so he could catch the baby. I was so determined. During each contraction, I would push 5 or 6 times. I wanted to meet my baby. The head came out. The cord was wrapped around the neck. Hilary slid it off. At 6:15 the baby fell into Jesse’s hands. Jesse put the baby on my chest. I said, “What is she?” Jesse had been so overwhelmed, he had forgotten to check the gender. He looked and said “It’s a girl!” That was when I met Alma. And Then I was a mom. What a marathon of a birth! It is incredible to think of how long Alma’s birth took. It must’ve felt like forever. And then she was here. Thank you for the story. As I’m sure you know, birth messes with time. It felt like forever, but it also sort of flew by. It’s all about being in the zone. Days would pass and I’d be surprised that it was getting dark again.